"May first is often called May Day, but that means different things depending on what country you’re in and what century it is. 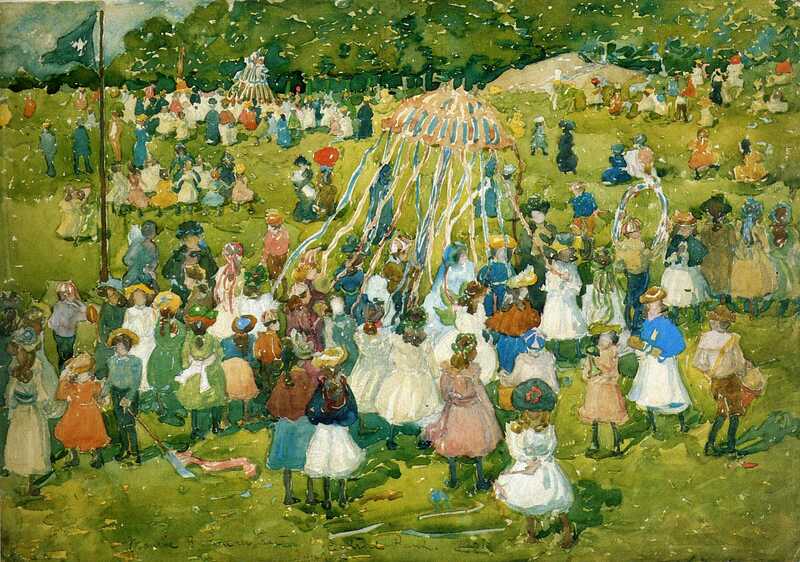 Two posts at the National Museum of American History’s blog explain the complicated history of May Day in America..."
May Day "on May 1 is an ancient Northern Hemisphere spring festival and usually a public holiday; it is also a traditional spring holiday in many cultures." International Workers' Day "is a celebration of the international labour movement that occurs on May Day, May 1, a traditional Spring holiday in much of Europe. May 1 is a national holiday in more than 80 countries, and celebrated unofficially in many other countries. In some countries the public holiday is officially Labor Day while in others the public holiday marks the traditional Spring festival known as May Day. Other countries, such as the United States celebrate Labour Days on another date, usually with special significance to the labour movement in that country." Other Superstitions - ex : "A widespread superstition held that washing the face in the May Day morning dew would beautify the skin." How was May Day Celebrated? in Oxford, England, in 2004." "May Day Bank Holiday is traditionally a time when thousands of bikers from all over the country converge on the small Sussex seaside town of Hastings..."
" Extensive visual, textual and musical studies of American May Day customs since the first Maypole Revels were held at the Ma-Re Mount or Merrymount plantation on Massachusetts Bay in May 1627, hosted by Englishman Thomas Morton; and, last year the state of Massachusetts' Governor Deval Patrick proclaimed May 1 as Thomas Morton Day."